Our fundraiser packages are second to none. 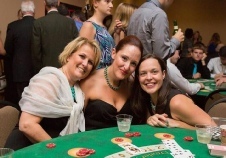 Casino Fundraisers are knows by different names such as a Casino Night, Monte Carlo Night, Casino Royale Night and the Poker Fundriaser. They all have one thing in common which is they are a huge part of raising funds for non-profit organizations, colleges, high schools, synagogues ,or someone in need for help. From the early stages of planning you will see we really care about your foundation and will do everything to raise maximum donations. Please call to discuss our ideas that have been proven to work for the last 15 years to reach your goals. 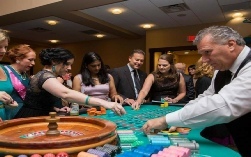 We are license in the State of New Jersey to operate casino and poker fundraisers. 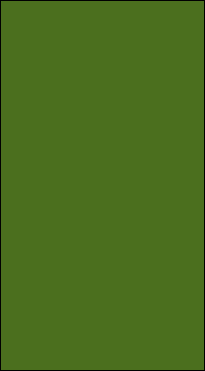 Each state has specific rules and regulations.  We are a license New Jersey Casino company. Many of the new companies that have popped up do not know the laws and a charity foundation can not afford to have fines. Our goal is to guide you through the licensing process and run the event according to the regulations, part of which means a licensed dealer is needed to operate the table games in New Jersey. know their license number by heart, so if the company can’t tell you their license number right away over the phone there is a problem, and it is illegal for them to use another vendors number. 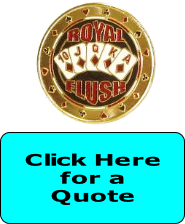 Click here for a link to the Legalized Games Casino Control Commission, - they want to help you be successful.